Detailed pre-calculations for optimal routes and the anticipated costs of a voyage charter. 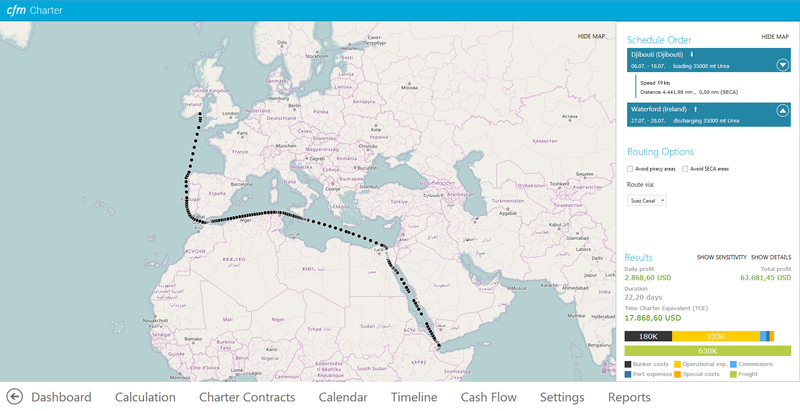 We are happy to announce that we will work closely with searoutes.com and import data from the provider of nautical navigation data into the CFM Charter module. searoutes.com offers the calculation of ship routes, based on AIS signals (AIS = automatic identification system). AIS data offers the great advantage that in addition to the position, route and speed, ship-specific data such as the name, the load, the MMSI number, the radio call sign and other data also is transmitted. 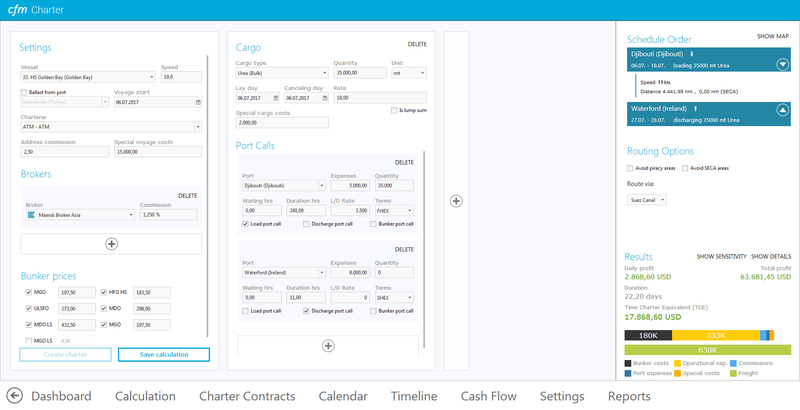 By integrating the data from searoutes.com into the Charter module of the CFM, detailed pre-calculations for optimal routes and the anticipated costs of a voyage charter can be carried out. Users of the system only must enter the weight of the cargo being transported and the planned travel speed, select the preferred route to e.g. avoid certain canals and immediately receive the estimated costs of the charter. This way budgets can be planned even more precisely and regarding to the post-calculation of the Charter module, statements can be made about the efficiency of the selected route in relation to the cargo as well as the weather conditions.